These days donations are being made by many people for those who really need some help for their living. Donation is considered to be the biggest source which is organized by the societies as a part of welfare. Talking about donation, there is a donation certificate which charities uses to give to the people who donates anything useful for needy people be it money or clothes. 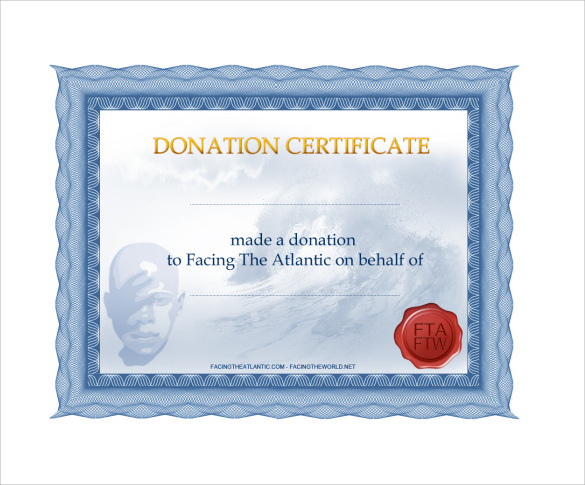 You can check out some of the best donation certificate image or download the free version of it and edit the same as per your wordings. Such types of templates are one productive document which helps the nonprofit organizations within less time span. It is one way of gratitude which can definitely keep the donor encouraged to stay connected. 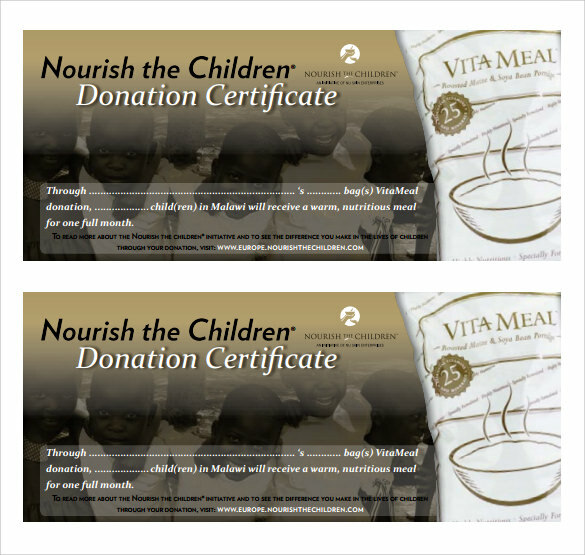 In case you have never used such certificates earlier, then visit some of the best sample donation certificates online available. These certificates are easy to load and in case you want to make some changes or add details in it then you can with the word format available. You can also take printout these documents. 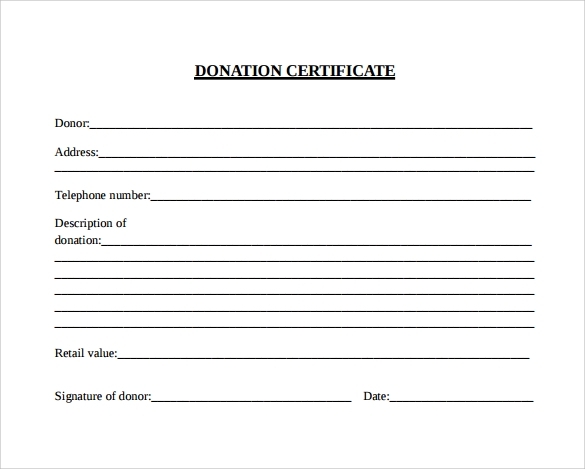 Donation certificate appreciation template is usually required by the people who are into welfare society and receives many donations. Such type of certificates can be a great way to thanks those donors who have contributed from their hard work. 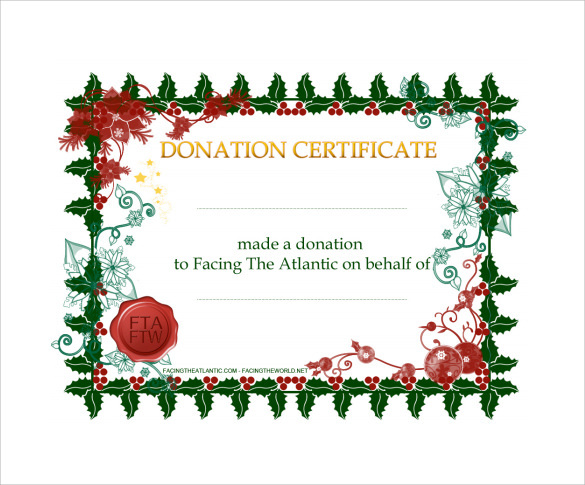 Most of the organizations and NGO’s create and uses the charitable donation certificate template so that they can appreciate the donors in a right manner. 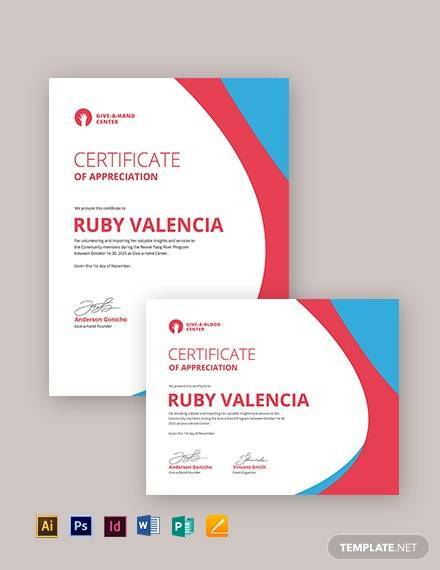 These templates have good yet meaningful wordings that would certainly help to express gratitude to the donors. Such types of certificates are also used by the welfare societies to encourage the efforts of the donors. In shirt it is one short way to thanks the donor. 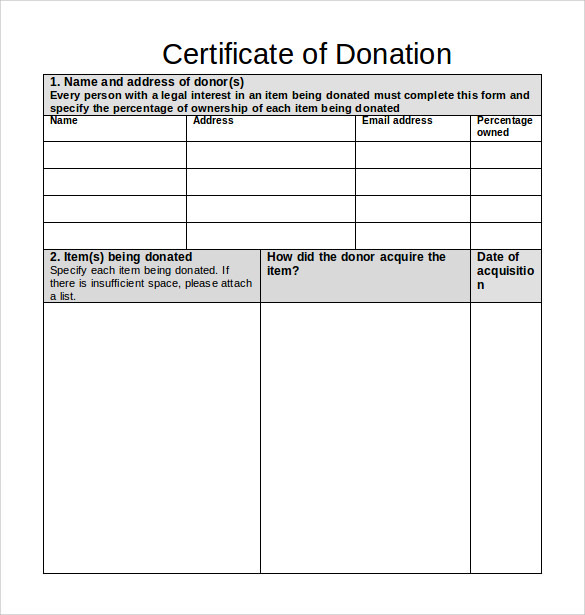 There are many donation certificate template word editable versions available and other formats too. Such certificates are designed for the organizations, welfare societies and nonprofit companies who look forward to help the needy. These organizations accept the donation from people who wish to give something to such needy. 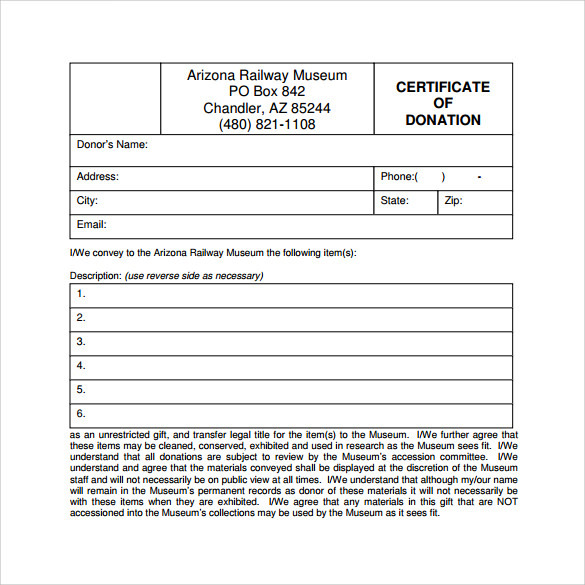 In return, these organizations offer the best donation certificate for which many of them download donation certificate template. To donate something really useful for the people who need it is no doubt the best thing a human can do. In return, the charitable organizations who accept such donation must look forward for effective ways to encourage such donors to stay connected with them. That is why they create donation certificate which can make them stay connected with the organization. 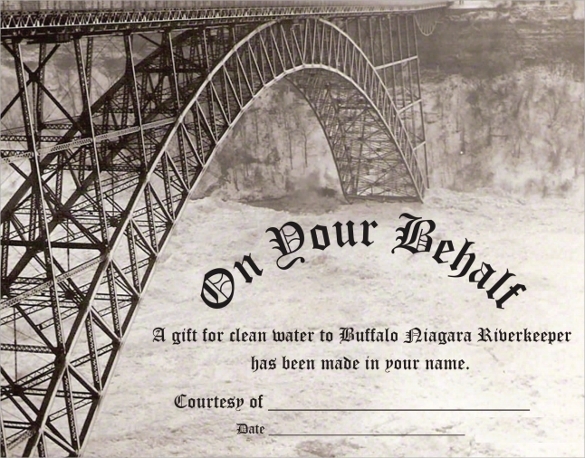 There are different donation Certificate of Appreciation Templates word and other types of certificates of donation that you may find online. These certificates are available in editable format that too for free of cost. Donation is a big thing which many nonprofit organizations look forward to thank the donors in different way. Giving donation certificate to such donors is one of such part of gratitude which seems to be appreciated by many people. Generally charitable institute support and try to raise the funds for certain group of people who are needy, hungry or have no home to stay. People who with their big heart do charity of goods, food, and money deserve to get something in return and free donation certificate is one such way to appreciate these good people.